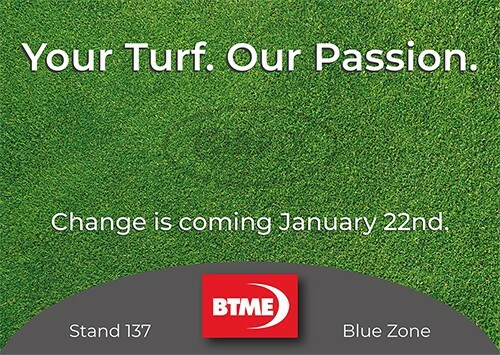 Customers of Pitchmark and visitors to BTME are in for a major surprise in January 2019, says the company, who will be making a landmark announcement at the show. A family-run business founded in 2010, Pitchmark has built an unrivalled reputation with a vision of raising the standard of line marking and improving the quality of working life for groundstaff. The company has created an industry platform with the manufacture and supply of a complete range of high quality marking paints, machines and accessories, for any sport and any surface. There have been many other important landmarks along the way including supplying all the stadia at FIFA World Cup Brazil 2014 and Euro 2016 France. Pitchmark line marking paint was also used to mark the pitch at the Principality Stadium for the Champions League Final 2017. The company launched the innovative new Hybrid line marker at SALTEX 2017, whilst 2018 saw rapid expansion and three new directors appointed. The business was crowned regional winners of Business Exporter of the Year at the FSB Awards.